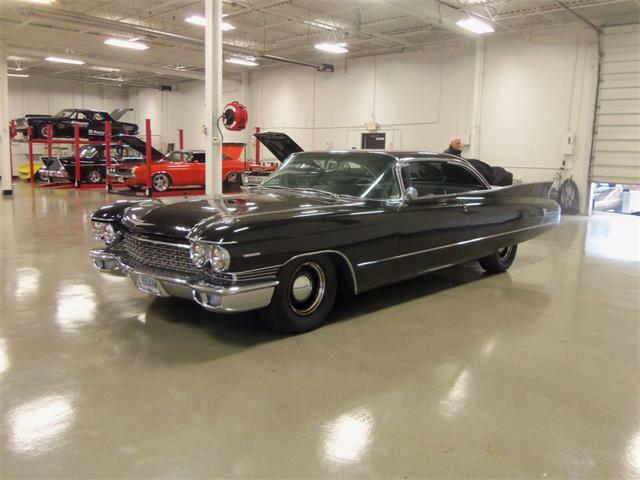 As excessive as the 1961 Cadillac seems today, it was actually quite toned down from the wildly ebullient 1959 Cadillac with its towering rocket fins. 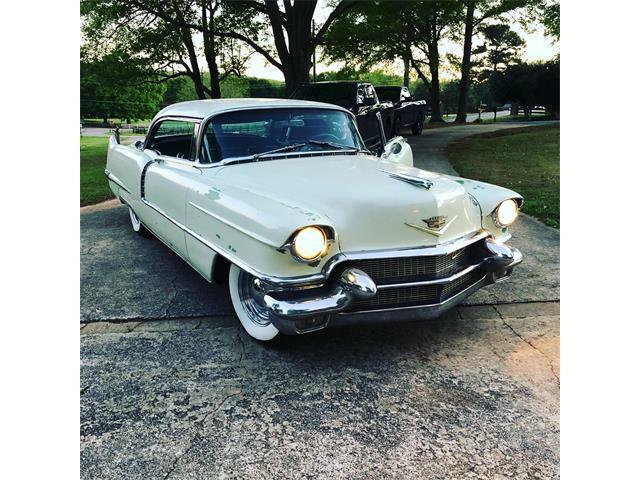 As excessive as the 1961 Cadillac seems today, it was actually quite toned down from the wildly ebullient 1959 Cadillac with its towering rocket fins. 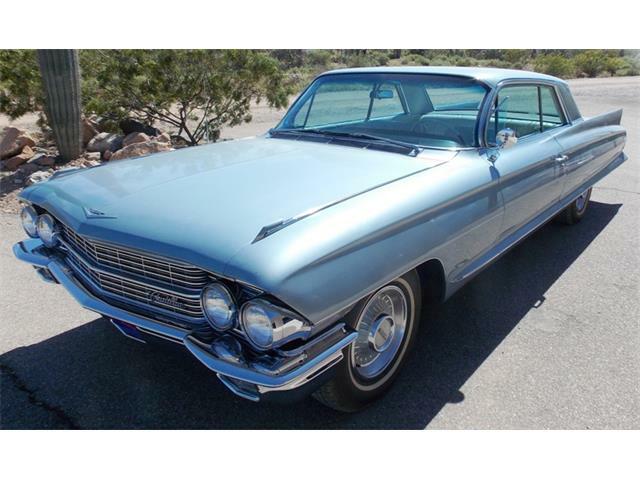 Sure, there are some serious tailfins here, but General Motors’ new knife-edge styling brought them down to earth. 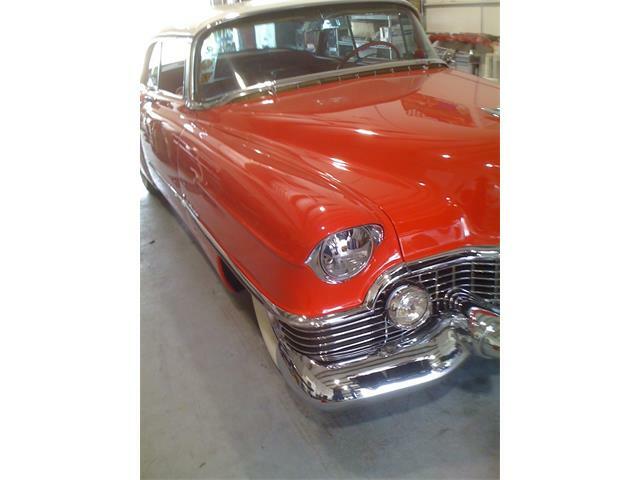 The Pick of the Day is a 1961 Cadillac Coupe DeVille said to be a two-owner California car in beautiful condition behind a partial restoration. 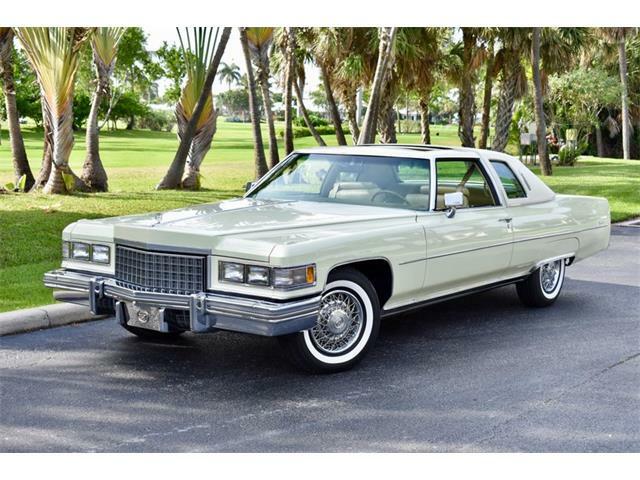 The DeVille is incredibly long, stretching out 18-and-a-half feet, with the strongly horizontal body contours making it look even more so. 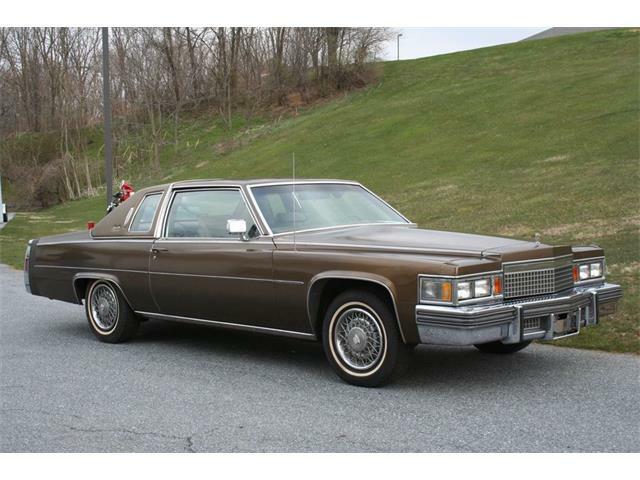 Here’s a personal digression: The dad of one of my childhood buddies, Mark Cellini, had a mighty Cadillac like this, which he would park in the wide alley behind our rowhouses just west of Philadelphia. One day we were pushing and shoving, as usual, when poor Mark fell back on one of those pointy fins. Ouch. Much wailing ensued. Ever since, I can’t look at Caddys from this era without remembering that. Apparently, this was a well-documented flaw. When my wife was in nursing school, her textbook on traumatic injuries had a photo of some hapless kid who suffered a major chest wound when he ran into one. 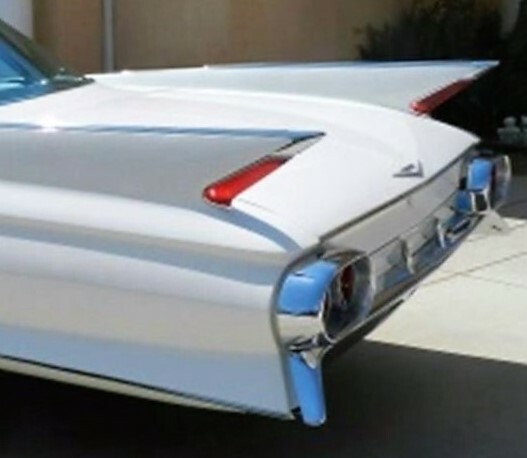 Still, it wasn’t until 1965 that the fins pretty-much sank back into the rear fenders, no doubt because of styling rather than safety considerations. But nonetheless, those ’61 fins look pretty cool, and the car sort of smirks at the safety regs that we take for granted today. 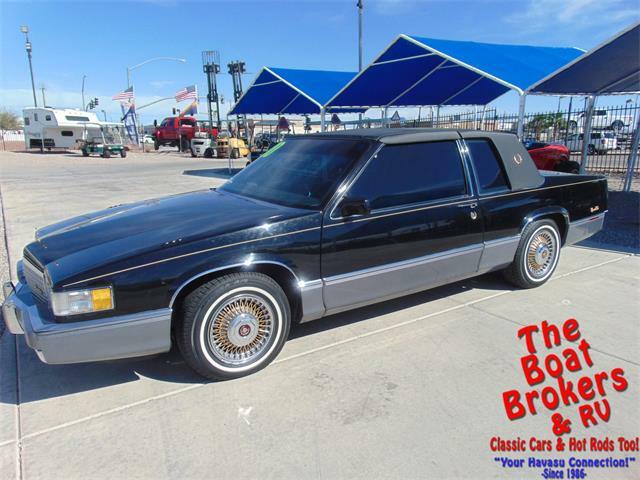 This luxurious coupe would be an eye-popping cruiser, its silky-smooth ride accented by the wealth of power and convenience options within its padded interior. 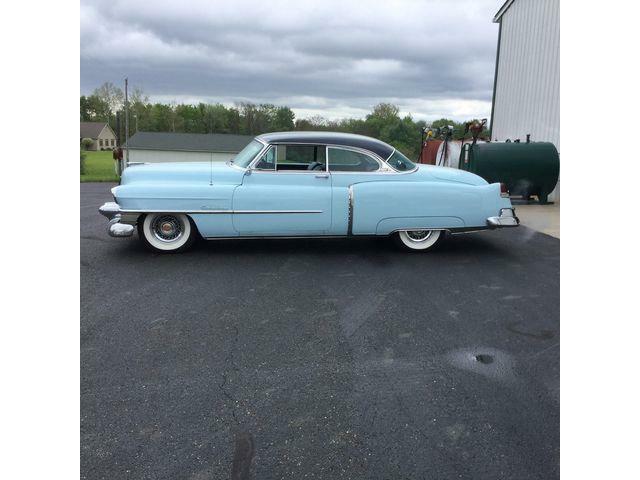 The two-door hardtop form is elegant and sporty, on a grand scale. “Numbers matching, black-plate California car has factory AC, power windows, power brakes, power steering, beautiful paint, detailed engine bay, new brakes, new window felt throughout, new windshield, working wipers, fully serviced engine and transmission, new stunning full interior and brand new CustomAutoSound classic radio w/ipod & MP3 functionality (original radio comes with the car),” the Syracuse, New York, dealer says in the advertisement on ClassicCars.com. 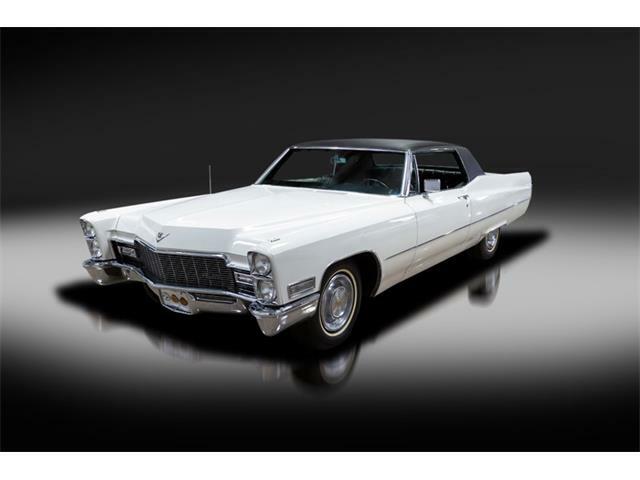 The Cadillac is described as “partially restored” with a rebuilt V8 engine and 74,500 miles showing on the odometer. 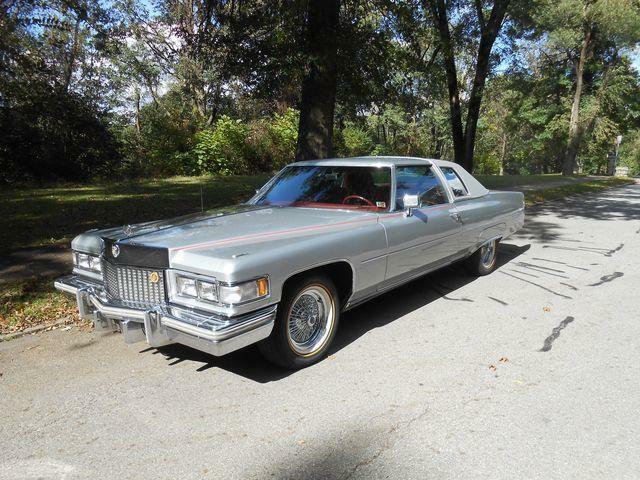 The DeVille is priced at $27,500, which seems like a fair amount for a desirable Cadillac model in decent condition. Prospective buyers should measure the length of the garage to make sure it fits. And tell the kids: No horsing around back there!